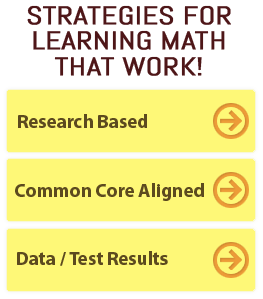 Algebra Help | Algebra Success® Makes Learning Algebra Easy and Fun! GEMDAS® Algebra Success® strategies are multi-modal techniques for teaching and learning Algebra that were developed by Teacher-of-the-Year Lora Kermode. While teaching Algebra to inner-city ninth graders who historically struggled with the subject, Kermode developed a system for teaching Algebra in a creative, memorable and interactive way that’s designed for students to gain a conceptual understanding of math while having fun. The students she taught began to develop a newfound confidence in math and went on to outperform the statewide average on standardized testing year after year. The strategies are geared toward all the different learning modalities such as visual, kinesthetic, and auditory and include the use of visual aids, posters, color coding, kinesthetic movements, raps, and chants. Kermode’s personal mission is to change the way math is taught, to bring positivity to classrooms nationwide, and to help students and adults overcome their math phobias. Ideal for Teachers, Students and Parents! Parents who simply want to become more involved and show their support of their child’s education!